If you're hoping to transfer your collection of UMD-based PSP games to your shiny, new PlayStation Vita, then you're fresh out of luck. According to Kotaku, Sony has confirmed that there will not be a North American equivalent of the UMD Passport program that launched alongside the Vita in Japan. The Passport system allows Japanese users to register their PSP games and attach them to their PSN (Now SEN) accounts. They can then use their Vitas to download a digital copy of the game for a fee. That fee varies dramatically, but most full-price games can be downloaded for around $13. To reiterate; that's $13 for a game you already own. It's hardly an ideal solution, but it's better than what North American PSP owners are getting, which is absolutely nothing. Without a way of transferring UMD games to the system, the Vita's backwards compatibility is effectively crippled. The handheld can still run PSP, Minis and PSOne games purchased through the PS Store, but over half the PSP's library is only available on UMD. 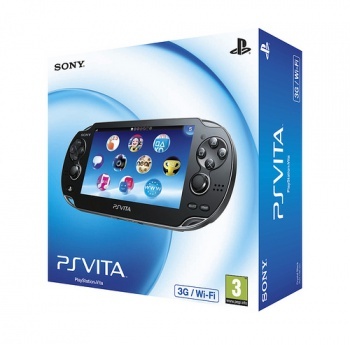 Thus far the Vita has performed poorly in Japan, with sales dropping below 20,000 a week. Sony is presumably hoping those numbers will pick up when the device is released in western territories on February 22nd. I'd argue that this isn't the way to attract that particular audience, especially given the disastrous performance of the digital-only PSP Go. On the other hand, the PS3 has gone on to become a success despite the lack of backwards compatibility in later models.